Win a Church Movie Event with DVD and Site License! Congratulations to the Movie Event Giveaway winner (see photo for winner's name)! If you are the winner, please email us from the email address you registered with to claim your Movie Event! Movie events are an awesome way for churches to reach their communities... and we are giving one away! 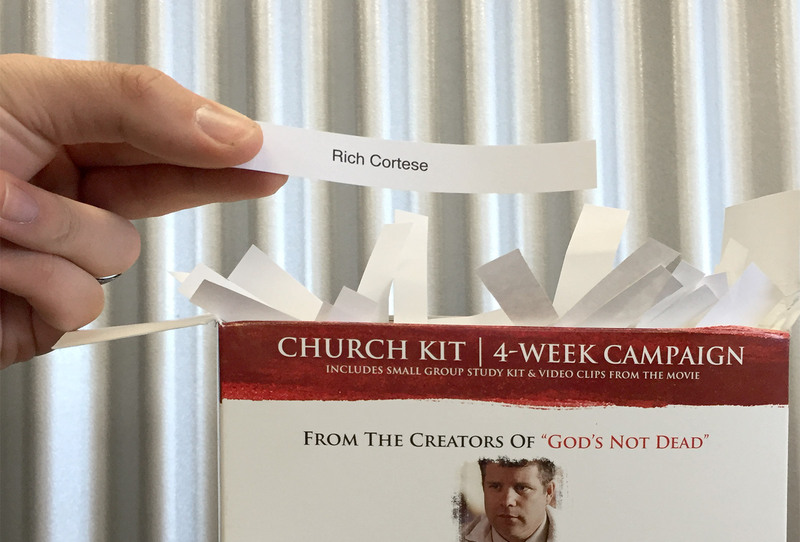 The winner of this movie event giveaway will receive a DVD containing the full-length movie, discussion guide, and site license to show the film legally in their church (a value of up to $299)! The winner may choose from three popular films: Do You Believe?, Son of God, and God's Not Dead. God's Not Dead 2 will hit theaters on April 1, 2016. Enjoy this sneak peek. ALSO, be sure to check out all the other amazing movies with sites license we stock. Some even come with full studies and sermon series to teach your congregation alongside the film. We hope you will become an Outreach Films customer for life!